Alongside yesterdays announcement of the new Warhammer 40,000 animated series, it was also announced that audio dramas of the upcoming Warhammer Adventures would be out in February 2019! 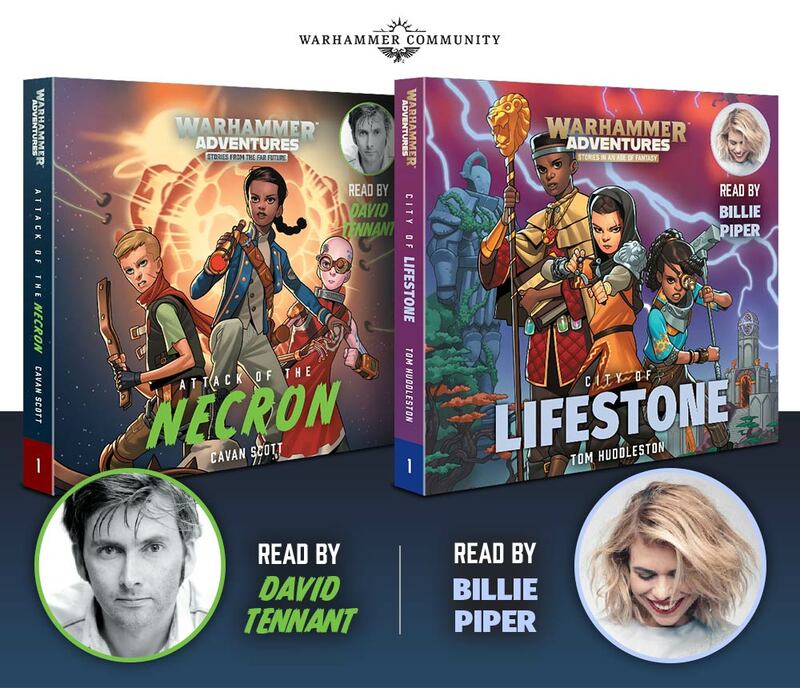 The first two adventures Attack of the Necron, read by former Doctor Who David Tennant and City of Lifestone read by former Doctor Who companion Billie Piper, will both be released at the same time as the books in paperback format. Both books are available for pre-order from Audible right now and qualify for the free credit scheme so you could get them with your credits without paying out for them. Given the quality of previous Black Library audio dramas, both of these books should be a good listen and entertaining, and while aimed at younger gamers, they should still have enough content for even the most die hard of Games Workshop fans!